Queen Valley is a historic town that celebrated its Centennial in 2015. This hidden pocket of lush Sonoran Desert landscape is surrounded by State Trust, Bureau of Land Management, Superstition Wilderness and Tonto National Forest lands. It was first occupied by Native Americans as early as 300 A.D. by the Hohokam, and Native American occupation continued through the 19th century. Modern builders in Queen Valley often find pottery shards and other evidence of Native American lives when digging foundations for new homes. In the 1800s, the Copper Corridor area was a center point for travel by the military, miners and pioneers, as it was a direct route from New Mexico to California and the Gold Rush. It became the path for stagecoaches, wagons and eventually trains, connecting California with the shipping routes from back east that came through New Mexico. Household goods, food, tools and general merchandise for the people and businesses settling Florence and Phoenix, as well as ore from the mining activities in Globe, Miami and Superior, were transported along Queen Creek and the Hewitt Station Road through what would become Queen Valley. 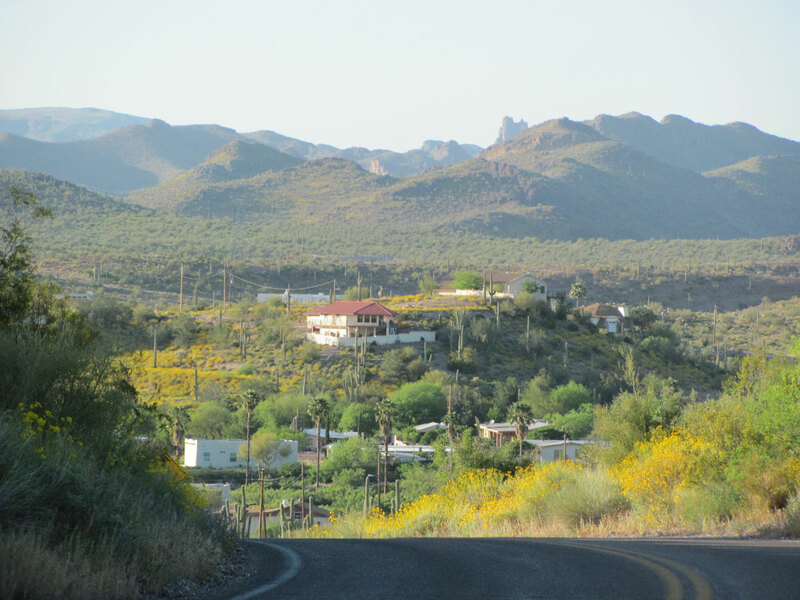 As the nearby mining towns of Silver King, Pinal and Superior began to develop, so did ranching. The Whitlow Ranch was established in 1874 near Elephant Butte, a few miles north of Queen Valley. This ranch provided milk, butter and cheese to Superior and Florence. Hart Mullins, a freight and stagehand working the Superior route, fell in love with the area. This hidden pocket of lush Sonoran Desert landscape is surrounded by State Trust, Bureau of Land Management, Superstition Wilderness and Tonto National Forest lands. He filed the first homestead and built a home and ranch in Queen Valley in 1915. Mullins began raising vegetables and fruits in the valley and hauled the produce to Superior and Florence in wagons pulled by mules. When he retired to Superior in 1959, he sold the homestead land to a developer just as the Whitlow Dam was being built to protect agricultural lands to the southwest and the runways at Williams Air Force Base. With the flood plain under control, this then became the start of home building in Queen Valley. Electricity and a party line phone line were brought in, and a nine-hole golf course was put into the center of town as houses began to dot the hills leading in to Queen Valley. 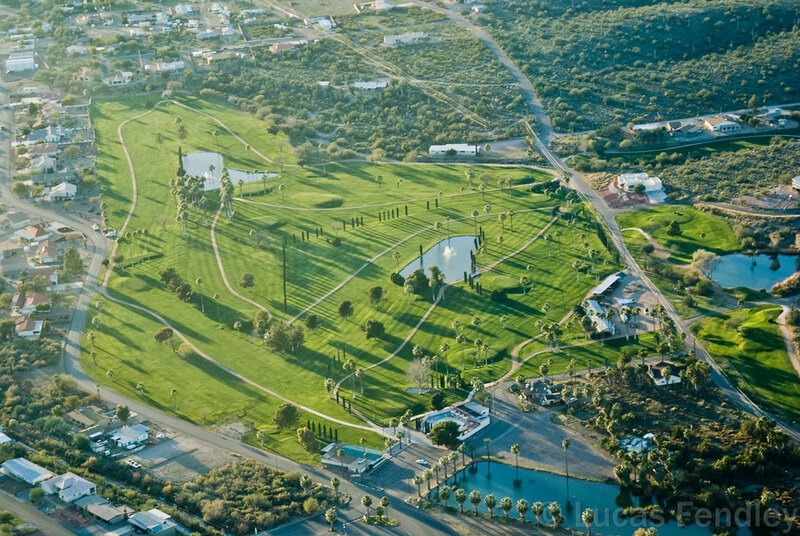 Over time, the golf course was expanded and transferred from private ownership into a membership-owned business. Queen Valley currently has about 565 water meters in the main town and many homes with wells in Queen Valley West. There is also a 194-space RV resort with full hook-up multilevel sites including 150 park model homes. From its humble beginnings, the town has now grown into a community of around 400 full-time residents during the summer and 2,000 residents during the winter, as people from all over the U.S. and Canada come to enjoy the great weather, amazing views and beautiful 18-hole golf course that is now celebrating its 40th Anniversary. Like the Queen Valley Historical Society Facebook page to learn more.